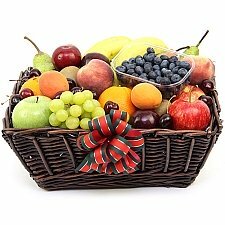 It is always a special feeling when you cannot stop thinking about someone you love, admire or miss. 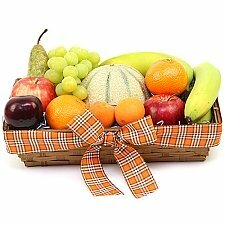 When you are away from your loved ones and cannot think of anything exceptional to do for them showing your affectionate feelings. 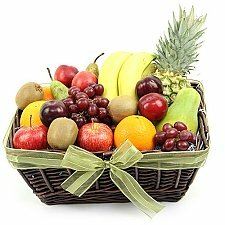 There comes our specialized Thinking of You Fruit Baskets with delicious and tantalizing variety of fresh fruits assorted in stylish baskets. 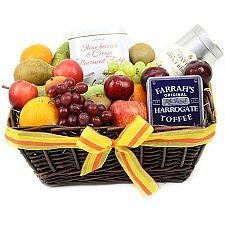 Your loved ones would be astonished to receive such a humble yet lovely gift from you and cherish your feelings for them. 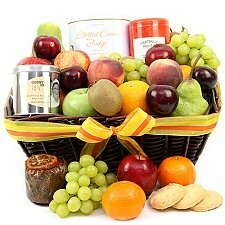 So make a move and choose your favorite Thinking of You fruit basket for someone afar whom you wish to send heartiest greetings. 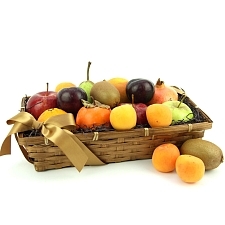 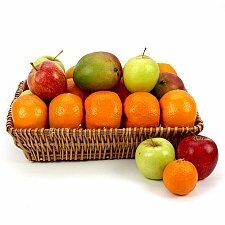 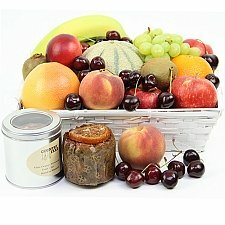 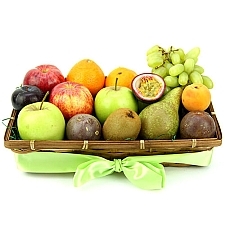 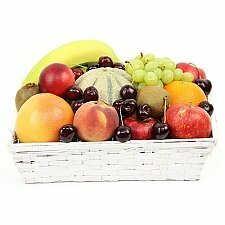 You can see our bright colored, freshly assorted fruit baskets online. 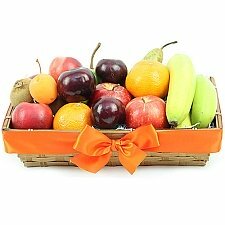 All these baskets are filled with ripening fruits which are full of exotic taste and give you a sense of real fruit taste. 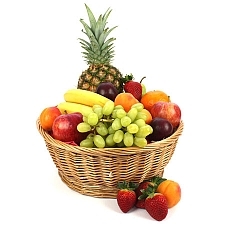 They are handpicked from the gardens and are arranged in different variety in each basket so that you can choose your favorite kind of fruits easily. 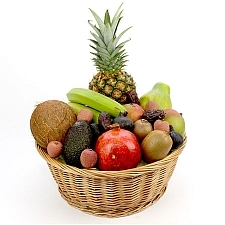 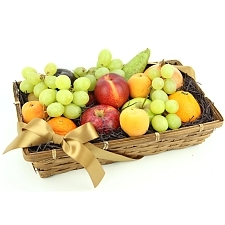 We want to offer you extensive variety of fruits in a single Fruit Basket and for all kinds of occasions. 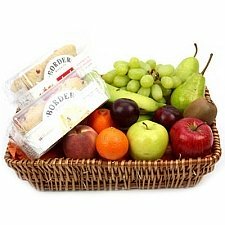 So you can easily go with Apple Delights Fruit Basket if you are an apple lover or a Just Peers Fruit Basket for juicy peers taste. 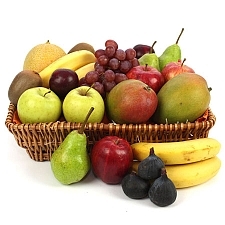 Our fruit baskets range can meet small family requirements with simple and elegant Fruit Orchard Fruit Basket or a big gathering with Seasonal Pick Fruit Basket. 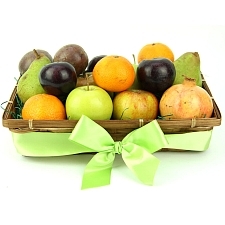 Every fruit basket will give you unique experience of fruits. 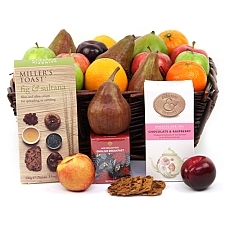 You can also enjoy other edibles along with fruits if you wish something extraordinary with fruits. 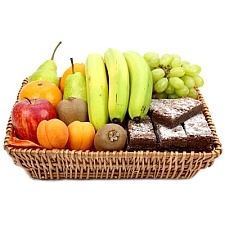 Certain fruit baskets have products like cookies, Chocolates, a combination of fruits with nuts, a chocolate cake, teddy bear, Gourmet chocolate pizza, Chocolate brownies, dates and many more such scrumptious items. 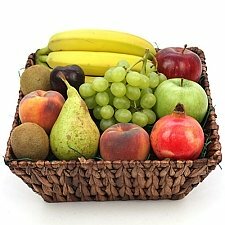 So you see these are not simple fruits but some spectacular combinations which would delight your recipients in the best possible way. 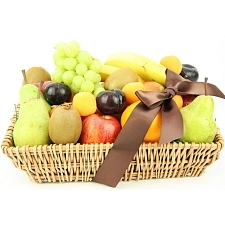 The choice is yours or your loved ones, you just convey it to us and we will deliver it to the required destination. 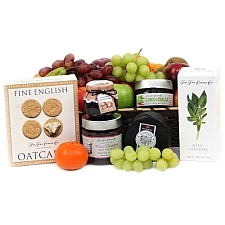 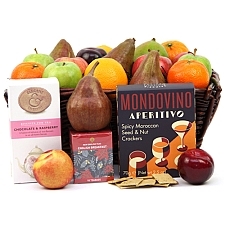 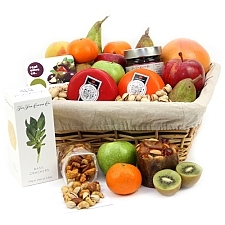 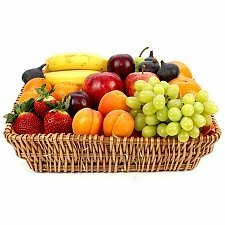 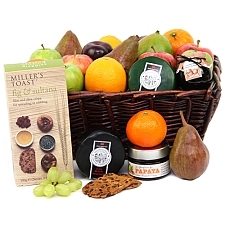 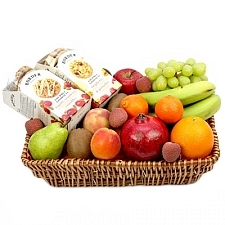 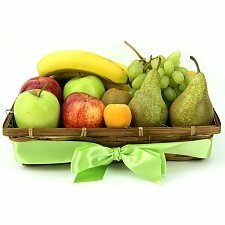 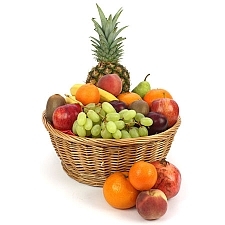 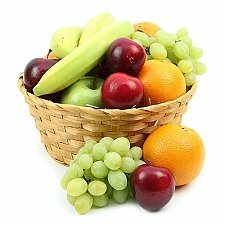 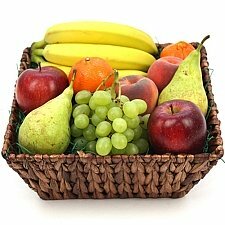 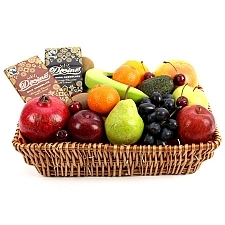 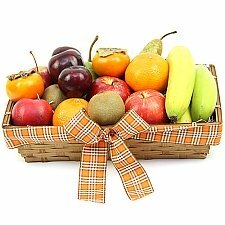 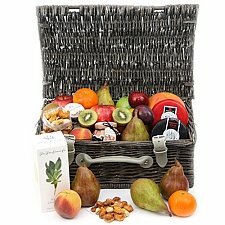 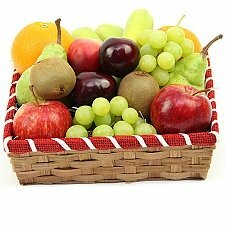 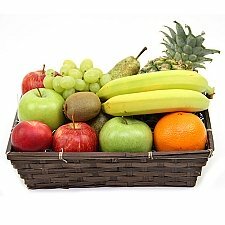 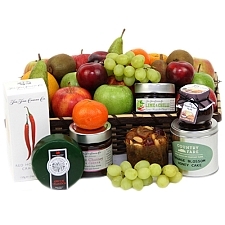 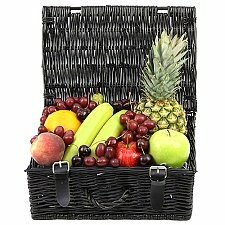 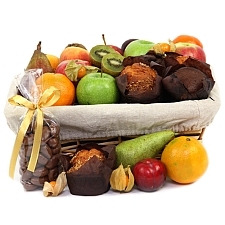 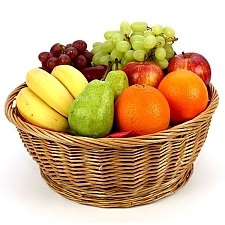 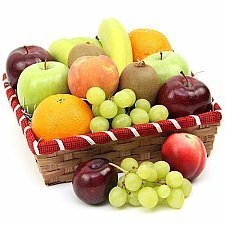 We have extensive network of sending Thinking of YOU fruit baskets all over to UK. 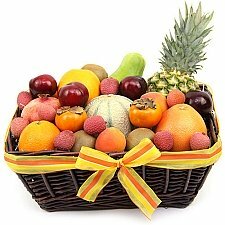 So just send fruit baskets to your loved ones with your free personalized message card attached and let them know that you have been thinking of them.